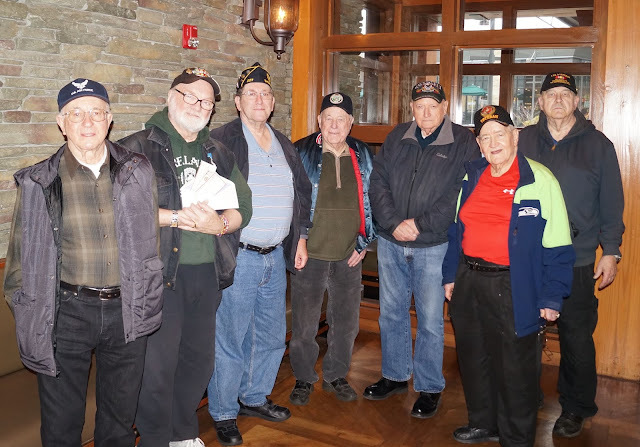 On Wednesday, January 24, 2018 Members of Post 227 met world renowned artist Michael G. Reagan at Alderwood Mall's Claim Jumper restaurant where they gave him a cash donation in support of his "Fallen Heroes Project". Michael does pencil drawings of fallen soldiers, police officers, and shooting victims and presents them to their family members. Michael gets no funding from any government source or charity. He gets most of his funding from cash donations made to the Fallen Heroes Project website. Michael says he finds Post 227 to be incredibly supportive of his work.